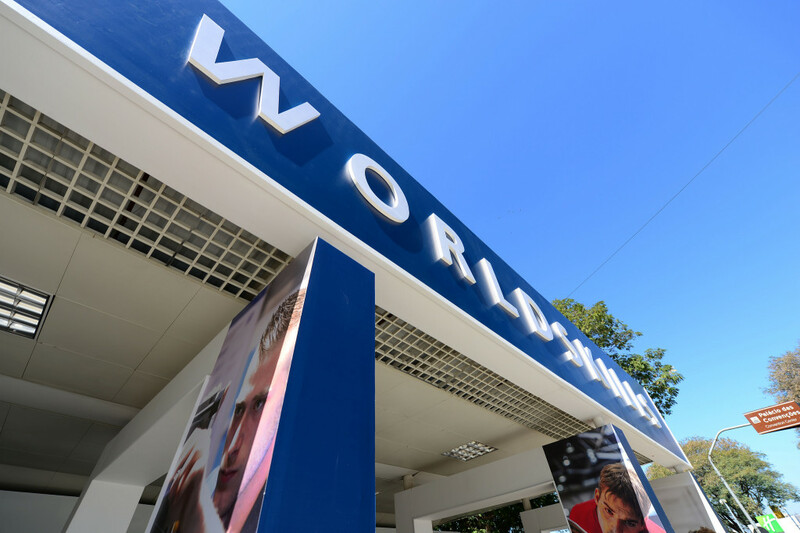 The cover might not quite be off WorldSkills 2015 just yet, but FE Week was today one of the few privileged media organisations to be granted sneak preview access to Sao Paulo´s Anhembi Park venue. The opening ceremony takes place tomorrow night, but competitors were allowed to ´familiarise´ themselves with the 400,00-sqm site today — and, under strict guidelines not to communicate with competitors, reporters and photographers were let in, too. View the @FEWeek Twitter account for more sneak preview images and watch for updates on the #GoWSTeamUK hashtag. Today´s sneak preview came just moments after a pre-competition on-site press briefing with WorldSkills president Simon Bartley. He said: “This is the 43rd WorldSkills — the first one was in 1950 when there were just two members of WorldSkills International. “Here we have a competition where there will be three further members ratified and we will be 75 countries and regions. Of those 43 competitions, until the competition we have starting after the opening ceremony tomorrow, only one competition has been held south of the Equator. “The competition that starts Wednesday is the second in the Southern Hemisphere. It is the first competition in Latin America, and I think that is a very important thing to happen. 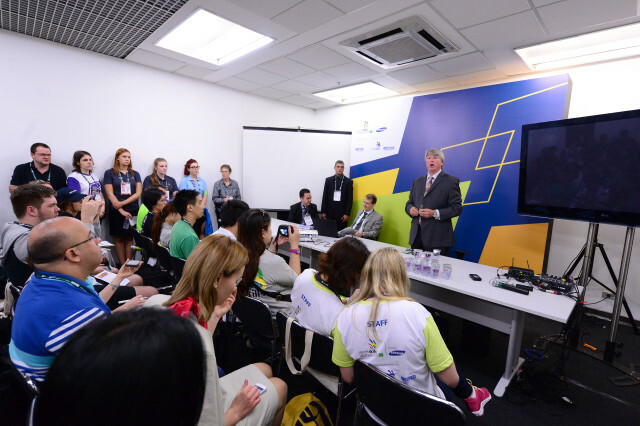 “WorldSkills is now a global movement — we have changed from being a club to being a movement. We are changing, but we have a long way to go before we can really justify that title, but we are making our way there. “And this competition here in Sao Paulo is the first really big step that we are taking in that direction. “You will also know this is the biggest competition there has ever been held within the WorldSkills organization. It is not the biggest skills competition in the world. WorldSkills Americas, Skills USA both have more people competiting, but this competition lasting in most cases four days with 1,197 competitors, around 1,100 experts from 62 attending countries with 59 team of competitors is the biggest in WorldSkills history. “It will also be the biggest number of block competitions — 50 — at the highest level we have ever had, a level expected by industry and business around the world for them to be able to do what they need in their businesses, in their countries for their economies. “We also seek this to be an opportunity for countries take back messages, images, information to allow them to encourage their young people to consider vocational, technical, craft careers.